When we are talking about Tanzania’s Serengeti National Park how can we forget about the most popular activity – balloon safaris in Tanzania. People who’ve experienced it depict the activity as a breathtaking adventure. Though Balloon safaris in Tanzania are amongst the costly activities, but they well worth it. In fact, a balloon safari in the Serengeti National Park is the best way to make the most out of your safari experience. 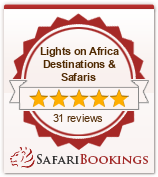 You can book this activity as part of your Wildlife Safari in Tanzania. Your trip with us will start when you hear your wake up call very early in the morning at your safari camp or lodge in Central Serengeti. The traditional hot tea or coffee of Tanzania will awake you quickly, and make you well prepared for a mission. By 6.00 a.m. you’re nearly arriving at the site where hot air balloon safari will actually take place in the Serengeti. As soon as you reach the location, the balloon looks larger than your imagination, and you’re all set ready to have an experience of a lifetime. At 6.15 a.m. the balloon safari will take off. The captain will tell you to relax and explore the spectacles beneath the African sky. As soon as you find a good grip on on the height, the inner smile that will come from your heart won’t need any explanation. From the top you will get to witness elephants drinking water from pools, zebras and gazelles scrambling away just as they saw an alien object first time on the sky. By 7.15 a.m. It’s nearly touch down time. There’s a merriment, and for those who like a toast, champagne is dished up, as hot buffet in the bush is being ready. You are bound to ask yourself am I really having such a lifetime adventure in Tanzania? As the aroma and the sweetness of the traditional African tea or coffee encloses you, with fresh hot eggs being dished up as you love it, you think for yet another ride, and of course desire that such adventure never concluded. You may even wish to migrate to Tanzania since such life can be founded here only. By 9.00a.m. you’ll find yourself declared as a champion, a mighty completion certificate handed over to you which you’d love to display your family and friends back home. Clapping & participations by everybody present makes you honored to have accomplished such a wonderful trip. By then, you perceive a loud sound or even a galling buzz, you hen turnaround and deactivate the alarm clock. Now you may be thinking about visiting Serengeti again, otherwise the persistent dream will drive you crazy.